We would like to thank Seasonic for supplying the review sample. Seasonic recently revamped their high-end X series with the addition of several Platinum models on which the Corsair AX760 and AX860 units we have reviewed a while ago are based. They also enhanced all Gold X series members with the new KM3 platform, which carries many changes over its KM2 predecessor. 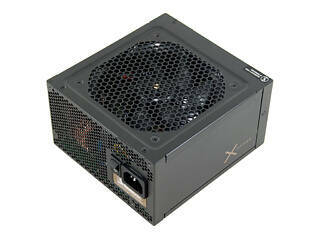 The X-660/760/860 and the fanless SS-520FL unit are, at the time of this review, 80 Plus Platinum certified, but all other X series models still carry the 80 Plus Gold badge. Today, we will fully evaluate the X-750 PSU which, thanks to its fresh design/platform, promises even better performance than its predecessor that was already a top performer. The key features of the new X-750 include a fully modular design, the patented modular PCB which integrates the DC-DC converters that generate the minor rails, the hybrid silent fan control system that provides the ability for semi-fanless operation at lower loads/ambient, and its high-quality Japanese caps. Performance wise, the X-750 promises ±1% voltage regulation on all major rails, very low ripple, and a single +12V rail capable of delivering the full power of the unit, which is really convenient since today’s systems heavily utilize this rail. As you can see, all other features are, with the exception of the efficiency certification, identical to the ones of the Platinum X series units; however, the Gold X units cost less, which grants them a very high price/performance ratio. Finally, we admit that we expect a lot from our X-750 test sample today, especially considering the top performance all Seasonic products we have reviewed so far achieved.